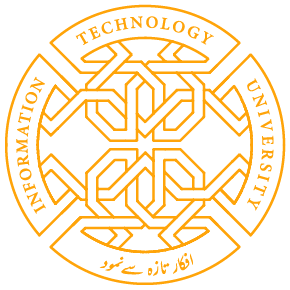 Launch of Consortium for Applied Data Science (CADS) will help the researchers at Information Technology University (ITU) the Punjab to analysis the Data of various sectors gathered by the Punjab Information Technology Board (PITB) to find solutions through one platform for policy makers and to make public sector efficient and transparent. This was stated by Dr. Umar Saif founding Vice Chancellor of ITU and Chairman PITB in his opening remarks while launching here today a Consortium for Applied Data Science supported by Alan Turing Institute, the National centre for Data Science and Artificial Intelligence in the United Kingdom (UK) scoping phase by providing advice from its own start-up phase. He said that with the launch of the Consortium Pakistan has taken a leap forward in the development of the Data Science and Artificial Industry, being a tangible field with broad spectrum would enable the stakeholders to benefit from the machine learning tool. Being an important partnership for expertise in Data Science first time Alan Turing Institute UK was cooperating with any University out of UK and hope formalizing partnership between universities and the governments, he added. Dr. Saif gave examples of PITB’s technological interventions for joint projects of agriculture, health and revenue such as e-Stamping, Centralized Medicine Procurement System, direct Agriculture Urea, DAP and Potash Subsidy to farmers and agriculture loans through smart phones and said that Data Science could help to predict production of various crops. This Consortium for Applied Data Science would be a key enabler in improving the prosperity of the nation as well as creating a regional hub for Data Science and Artificial Intelligence advancement, he stated. He informed that stamping project generated revenue worth US $ 100 million by cutting the fake or forged stamp papers in a year. For a country like Pakistan that is entirely dependent on its cotton production, data science could bring positive impact in production or classification of the crop. PITB with the help of applied data science has managed to increase the medicine availability in all DHQ and THQ hospitals across Punjab by 87%. Agriculture department has provided subsidies on fertilizers to the tune of 1.8 billion PKR and almost 1.8 billion PKR worth tax collected through restaurant invoices for Punjab revenue authority with the help of data science, he briefed. He further added that through this national capacity-building platform, ITU would collaborate with world-class practitioners in Data Science and Artificial Intelligence and create innovative solutions through machine learning and artificial intelligence. This consortium will help government and businesses to execute and amplify their goals in sectors, such as health and education and further drive positive change by enhancing labour and process productivity and creating new careers in Data Science and Artificial Intelligence. Shakeel Ahmed Khan an expert in Artificial Intelligence (AI) discussed developing economies and use of big Data and Algorithm and said that AI would affect every sector of life. Dr. Tony Bellotti of Imperial College London explained the courses led by industry requirements and presented case study of non-performing loans. Dr. Faisal Kamiran of ITU, senior economists, officials, representatives from academia, industry and students participate in the Q & A session. Share the post "ANALYSIS BY ITU’s CADS TO FIND SOLUTIONS FOR VARIOUS SECTORS-Umar Saif"